Thank you for this guys. I have been learning from you two (specifically) for such a long time via your blogs and Stomper and I have learnt SO MUCH. Your style of teaching is easy to understand – and your live seminars are (funny) brilliant! I just want to ask you; I have a membership site for Women who run an online business from home – and more specifically an ecommerce store (although I do have service based clients too). The idea behind this site is to teach the basics of SEO and marketing so that they can put this into practice on their own sites without having to hire an SEO. Most of these women are just starting out and looking for guidance – all of the techy terms are too much but the frustrating thing is, they often dont get anywhere with their great ideas or products because of the lack of knowledge on the SEO side of things. However, whilst I would like to introduce some more advanced techniques, at this stage I really need to keep it simple – which is actually harder than just teaching what I know. So would you go with that or would you go with something else? For the sorts of websites you’re talking about, simple is best. Search phrase in the title; search phrase in inbound links to the page; and then just get as many links as you can. Unless the sites are very large (which I am thinking they probably are not) you can ignore PageRank Sculpting entirely — just link them all together. Can I just add something to this. Whilst “silos” as aterm soudn svery techie, and probably not the one to use to your clients, I presume you knwo exactly what I mean by SILO’ing. IMHO it provides a worthy SEO benefit, and certainly a USER ebenfit, but also an ADMIN benefit. The way I would describe SILOing to non geeks is to say it’s like a department store with different departents. Logiclaly grouping stuff. So I’m out of my depth now 🙂 but if I said SHOES woudl also have departemnts/shelves for BOOTS and SANDALS and PARTY SHOES (evening dress) and DY shoes and even KEEP FIT shoes (trainers). If your clients put these departments in place FIRST, then the “keyword” (sic) topics will flow naturally. It’s just a very BUSINESS way of thinking. We can argue about this endlessly, but as a starting point, any use of words is going to help. LOL. The SILO will help tehm think in these terms, as well as show search engines (like Bing and Yahoo and ASK) that they know what they are doing. The more articles, pages or products they add under the category “shoes” the more likely they are to it a sweet spot with SEO. I think you’d be surprised at the high value keywords Google sends me, which I am NOT targetting, as part of this approach. I’m sure Leslie and Dan can explain that the reason for that is completely something else, but from a “people” perspective who don’t really care about SEO, IMHO department silo’s will keep them in a pretty good shape. Silo-ing means different things depending on who is doing it, but the way that Bruce Clay teaches it (I think, I’ll verify in person at SMX) is as a formulaic approach that simplifies site design in a way that works for 80% of webmasters. In doing this, it combines in one step the Information Architecture of a site with the rudiments of PageRank Sculpting. This will always be sub-optimal in a theoretical sense, but is “business optimal” in the great majority of cases because to do more is in the area of diminishing returns. Ultimately, all of engineering is about short-cuts and rules of thumb. Theoretical precision is the realm of science. Most businesses need engineering and much of that is simple engineering. You mentioned Page Rank sculpting and you are correct, this isn’t really an issue with my current subscribers, but hasn’t it changed now anyway with the new ‘nofollow’ guidelines from Google? Is it not now best to reduce the number of ‘nofollow’ links as PR is still leaked to these pages with the ‘nofollow’ tag? Or is that not the case? I’ve got a couple of info product sites and a blog in a health niche. I also run a site for my doctor and a blog for an organization I belong to. I’m now thinking about turning one of my static sites into a blog. Yes, I’m spread thin. I currently outsource heavy technical lifting to programmers and am just finishing Dan’s Link Liberation course. But I do most of it myself, mediocrely (if that’s a word). Your advice of Simple is Best rings true for me. I’ll never run a huge ecommerce store but understand that anyone who wants to compete and make money online these days needs to stay on the cutting edge of SEO. Any SEO coaching I’d be interested in would help me focus and sort out what’s important for me and my sites. I’m talking 80/20 here. I don’t have the time or interest to be learning things that are nice to know that I’ll probably never use. Right you are Pam. It is essence of “optimization” to get the most impact from the least resources. One of the several things Dan and I have been working on is the “strategic map” — what is the process for deciding what to do and what to focus on for any given person and website. We routinely answer these questions one by one, but we have not (yet) reduced it to a procedure for someone else to follow. 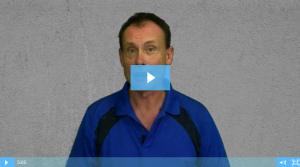 Thanks Mark – tell us what you want in actionable SEO training and we’ll pay attention too. I find myself in a very interesting predicament and hope that you guys can shed some light on the matter. I was initially looking forward to signup for the Stompernet membership which apparently re-opens tomorrow. In fact, I got even more intrigued when I came across Leslie’s twit promising a “very special offer” for the launch as I read many of your publications and think that your work is absolutely brilliant. Just as I was excited to begin my Stompernet membership, I came across the SEO Braintrust that you guys are offering. So this is where my dilemma resides; I do not know whether I should spend my hard earned money on the Stompernet membership or on the SEO Braintrust course; unfortunately I do not have the financial capacity to do both. Can you guys give more details about your course, how long will it be? What exact issues will it cover? Differences between Stompernet and SEO Braintrust? Brad Fallon claims that since the Stompernet membership is so comprehensive, there won’t be any need for any other resource. Is the material covered in the SEO braintrust going to be available on Stompernet, at least in some capacity? 1) I would love to better understand internal linking and how to better structure my sites (usually around 10-15 pages) for the optimal rankings. 2) A more in-depth explanation on Leslie’s concept of ‘right sizing’ to find the ‘whole truth’ of the page for better ranking. 3) Further explanation on Referential Integrity and the principles of topic, reputation and confirmation. Thanks guys, I hope you can better recommend me the right path to choose. P.S: When are we going to find out about the Stompernet launch bouns 🙂 ? A bunch of good questions here. Let me see if I can answer them all. First, as to your content suggestions and questions, yes, all that is on the list, both in terms of the tactics and when to use them. Now onto the real elephant in the room … How does SEO BrainTrust relate to StomperNet? Let me answer this in detail as there is huge confusion around that because StomperNet seems to be everything — maybe even car rentals, I’m not sure ;-). Is the SEO BrainTrust (sbt) content going to be available in StomperNet(sn)? No. Neither of us currently have plans to produce structured in sn. This may change, but in no case will our content ever be an exclusive in that or any other program. Are involvement with sn will be primarily as speakers at the events and authors for The Net Effect. Should I join sn, sbt or both? That depends. We feel the best reason to join the new sn is the tool stack, which truly is a real bargain &dash; I am planning on using about half of them myself. You will also get various levels of access to a dizzying array of speakers and product offers that I can not, very frankly, help you assess (since I can’t either). But tools absent the know how and strategies to employ them is just a way to be dumb faster 🙂 so my standard answer on the tools/training tradeoff is always training first, tools second. Tools will multiply what you do, both good and bad, but tools can not replace education. What are we teaching in SEO BrainTrust that is not already taught in the content we did for StomperNet? There are really two parts to this answer, or maybe three or four. First, the last SEO content Dan I did was StSE2 and that was always intended as a “foundations” course — there’s some, uh, confusion, around that too, but don’t get me started down that path. We knew at the time that there was and is a need for the strategic element that guides how you employ the foundations. Second, it’s a year old. ‘Nuff said? Three, StSE2 is the best structured of the SEO content we’ve done, but having done it we now know how to do it better. And finally, 80/20 applies to everything, especially SEO, so even as it currently exists, StSE2 might actually be an effective and safe solution for many people. The SEO BrainTrust is best suited for the rest. Bottom line? The StomperNet offer is now completely exposed and includes an unconditional moneyback guarantee and our offer will likewise be painless to both get into and out of if it is not right for you, so you really should just try them both and let your own experience make the decision. I use WordPress almost exclusively when I build new sites for a lot of reasons. Doing SEO on a HTML site is much more straight forward, though. What do I need to be doing on my WordPress blogs as it relates to SEO? Like most questions in SEO …. “it depends”. You always need to be paying attention to your title tag, your meta-description and your URL (make it friendly and trustworthy that it invites the click). Then you get into the balance of linking vs. internal site design that depends tremendously on how large your site is in both absolute terms and relative to your competition. This is a strategic question that I am trying to reduce to a set of rules that will treat at least the majority of cases. The balancing of internal vs. external optimizations, and the related topic of additive vs. subtractive ranking, is one of the areas Dan and I are keen to get into. You guys are the Rocket Scientist of SEO. Cant wait for the opening of BrainTrust! I touched on this briefly, the notion of Information Architecture, and this is a critical connector in planning for SEO as it is a focal point for keyword selection, navigation design and your link building plan. Doing this well is very much a higher level cognitive skill that will make the rest of your SEO go far more smoothly. I’ve looked at a couple of ways of approaching teaching this and I think a “case study” approach as is used in law school has real promise. I might have missed this part cause I was multi-tasking while listening to your vid but are you going to record the training for the charter members once you open or will you deliver it via downloadable video or? We try to always record what we do, then it becomes a choice of whether we leave it as a one-off, make it available as is or redo it to improve quality. Depends mightily on the subject and to what extent we’ve prepared for it. So far, we are thinking of a combination of more reference like recorded stuff to treat the 80% that doesn’t change and less permanent treatment of the 20% that drives us crazy every month. 🙂 In any case, we’re open to suggestions on that now. Free book was mentioned that I had not heard of before. Something by Leslie Rohde? Is that still available? Where? I assume it’s still got valuable content? Dan and Leslie, you both and Jerry west were the heart of stompernet, and if you could team up with Jerry, I would became a member right away! he has his own membership site now, and I do not want to belong to two different memberships, if you are really smart, you would convince Jerry to join you and create, then, the best 3 person coaching program, then we can forget about stompernet, Jeff Johnson, and many others coaching program. If you decide to bring Jerry, just send me an email and I will give you my money right away. c) ways of making money, CPA, articles, info products, ecommerce, etc, etc..
d) latest SEO information, with real data, real numbers and test done to probe your teachings, not just saying that it works because you say it does. Thanks for your kind words and great feedback. I don’t think the “one coaching program to rule them all” is realistic. I’m in Jerry’s membership and Jerry belongs to Link Liberation and Jeff Johnson and I have been close for years. We all get value from each other and I expect that to increase rather than decrease going forward. This is true of StomperNet as well. The new program is really a tools platform with an attached speaker’s bureau. Dan and I currently remain as speakers/educators in StomperNet, but it is not the primary focus for us that it was for 3 solid years of our lives. Instead, we’ve elected to focus. Thanks again. I hope you’ll join us. Is this a program that will be part of Stompernet? or something separated? I am glad to see you both of you creating a coaching program, I think both of you are one of the best teachers in SEO. Hey Manny! Yes indeed, the most important aspect of “optimization” is optimizing your use of resources. So many folks, many professionals in fact, focus on the number of top rankings as opposed to the more important question of what rankings make the most sense for their business or their client’s business. This ultimately gets to a strategic discussion quite above the vast majority of content Dan and I have published in the past. Lower priced and/or wider based programs, which essentially describes nearly all of the programs we are familiar with, will always attract folks who need primarily the foundations of knowledge, skills and tactics. These are always important and it is what StSE2 focused on for example. We still have more to teach at this level and there are in particular some recent changes that impact choice of tactics, but we also see a real gap to be filled in that no one is teaching strategy. As a professional SEO you know this, that each client’s situation and objectives demands different approaches. Knowing how to do the work is great, knowing when to use each technique is better still, but having those and also being able to justify to stake holders why you made the choice is what makes the true professional. There is structure to what we do and we think it is teachable. Not sure what else you can add. Your stuff is really good for newbies, which is probably most of the market. But what do you do after you rank? That’s where I see an opening. To be fair, Perry Marshall is a total gangster at this. His thing is Adwords for traffic and autoresponder for conversion and he is a KILLER. I’m glad to hear that you’ll be focusing on conversion, engagement, as well. That’s where you separate the boys from the men. Your training should really involve lots of examples so we can see how to apply the concepts you teach. Yes, the real value of learning SEO is not realized until it is combined with the skill to convert and the unique nature of search creates both advantages and disadvantages. For example, in radio, TV and even (mostly) with PPC you designate the placement of the message separately from the message itself so the message can be tuned without changing its targeting. Contrast with SEO where “the message places itself” so changing the message moves the message around within or between channels. Very different and more complex. On the other hand, the (sort of) “auto-targeting” of the message you get with SEO means we are more likely to be joining them with the right conversation thereby creating a smoother conversion experience. Thanks for your question. We agree. Experts don’t just get ranking. They get the right ranking and know what to do with it. As to your question, that is an area where Dan and I can offer a lot of help, and although it is not exactly what we had in mind for the core content, it likely makes sense to address because many of our “followers” are professionals. It should also be interesting because I suspect Dan and I have focused differently in our client work so have different processes there. Thanks for your question! Great info and advices. I have a question about a heavy ranked site. To make this quick I will not go into too much detail. This complaint website is a heavy weight as far as seo is concern. Their http://www.xyz.com home page has over 140K backlinks. How is it that when a consumer makes a complaint about a business, and the complaint page almost automatically ranks right up with the business name brand? So now you have consumer searching for xyz business on google, not only do they see the xyz business but also see the complaint website. Much appreciate it if you can explain how Google see so much weight in ranking this complaint site. I am sure I know exactly the sites you are talking about! This has become a huge problem lately and I have recently had two different companies hire me to try to unrank these negative pages rather than the more usual request of ranking their own page. Of course, you really can not “unrank a page”, so the way we actually accomplish the intended goal is another matter for another time. But to answer your question, you are seeing what I now call “the Wikipedia effect”. This really is no more nor less than plain old Like Reputation + PageRank but there are so many really large sites these days, Wikipedia being the best known, that we are running into it a lot. The essence of the phenomenon is this. The larger a site gets, the more ranking power it has to move around just from its own pages, and the less it depends on external factors. This is a good thing if you are that site … not so good otherwise. Worse, really large sites don’t even have to want to out rank you — “they can’t help being the biggest”. So, to get specific here, when ripoffreport gets even one page on with a company name in the title tag, the normal internal linking structure within their site drives enough juice to the page that it can easily rank with or even above nearly any “real business”. This even has a name now — “extortion SEO” and now that you mention it, it has become enough of a problem at this point that I really ought to do a webinar on why this exists and the ways I have found to combat it. A webinar on “extortion SEO” would be very interesting. Thanks Leslie, Look forward to hearing more about this “Extortion SEO” webinar! 1) Would it be better to have the Spanish language version as its own website linked to by the original site? 2) If the Spanish language site is a part of the original site structure, well, how does that work as far as Google is concerned? I appreciate y’all taking the time to answer all of our questions and I look forward to being a memeber of the SEO Brain Trust! There are three answers here, 2 for SEO and 1 for overall web presence. For SEO, the 80% answer is it does not matter as the content and links between content are nearly the same in the single and multiple domain cases. However, if you want the Spanish version of the site to have a ranking advantage at a Spanish-locale Google, then having the right TLD may matter. This is an area I am only beginning to study for a travel client with a presence in several different European markets. From the perspective of overall web presence, I think separate sites is better. It makes the URLs and navigation structure easier to do in a clean way. Can you do it on one? Sure, I just think two is going to be easier. You still link them to each other at their home pages in either case. Neither of us have seen any advantage to edu and gov links. by the way, if we’ve the chance to get one PR6 backlink versus two PR3 backlinks, which one should we go for and why? The toolbar PR is an exponential scale with a base far greater than two — likely more than 12 in fact — so 2*3 is FAR less than 6. That said, there is always the possibility these days of “fake pagerank”, a topic too involved and technical for a blog comment. With this in mind, please describe your target/ideal/perfect student? Most of the SEO I’ve learned has been from free sources like Ed Dale’s 30 Day Challenge and the WarriorForum. To be honest, they have both served me EXTREMELY well. I have a basic understanding of SEO and have gotten some sites ranked. Now I want to focus on building some real web businesses (ecommerce and affiliate marketing). So I’m looking for a structured program. I want in a program with amazing info like Leslie’s video busting the Google LSI myth, the double indent video Andy Jenkins did, the video where Andy Jenkins explained the power of building linkwheels to inner pages on your site, etc. I want a program that will help me build a site from start to finish, from market research, to site structure, to conversion. You learn by doing, so I want to be able to interact with the Morpheus’s, Mr. Miogi’s, and Master Po’s of the world; as well as with my peers. Again, it’s tough because there’s a ton of free content on the web that will show you how to make money. More than tactics and more than strategy, it would be good to have a community that will MOTIVATE each other to be the best. Whether someone joins your program, StomperNet, SEOBook, etc. the info will all be generally the same. Success is a matter of how serious I am about APPLYING the information and pushing through the obstacles. Looking forward to what you guys are offering. I haven’t received the Triple Play or the 6 Things yet… and I subscribed to your list twice! There are both good and bad SEO resources available on the web, but beyond the basic to possibly intermediate level they are definitely not free and our most advanced material is simply not available at all (yet). Our “perfect student” is one that has been through StSE2, has a desire to learn more and a willingness to implement it and has a web business that is making enough money that they are motivated to take action and funded sufficiently to afford to do so ($500 – $1000 is the bottom end of “real” in my opinion). The link to the page of all the videos is in your opt-in confirmation email, which I will resend. “if you don’t have a website,you probably should stop doing SEO” – classic, very funny. First, I just want to thank both of you for the information and guidance you have provided through StomperNet and in your other ventures. Our businesses would not be where they are today without your willingness to test and share your knowledge. Sounds like you are doing the exact thing that is needed in your coaching program. A straightforward, focused aim toward a specific end and not a multi-library of information that is distracting to achieving the goals we are wanting. Projected things we need to be thinking about developing to progress with future SEO changes. Most efficient use of time and money to create search results and conversion. Low cost, high traffic PPC advice. Links, links and more link advice. Dynamic content advice to increase conversion once a customer is on site. I was a member of the first Stomper Apprentice Program and am still a member of StomperNet. Now that Andy, Jerry, Dan and Leslie are all gone…who the heck is going to teach us seo and conversion? Or keep us entertained? Will we ever see something like “The Four MusketSEOers” or the “L.A.J.D.” (including fake police badges for members) coaching program? ;-0 Seriously though, this is a real concern of mine. I have said it before and I would like to say it again here. These four men “always” provided “real-world” tested and actionable material in an understandable manner. They are all brilliant practitioners and gifted teachers. When I would browse the forums for information or training, these were the only four names I was really looking for. Why? Because when I did what they told me to do (even if half-a$$ed, which was often the best I could do), I got the results they told me I should expect. I constantly said to myself, “brilliant…I would have never thought of that!” No offense to the other faculty members, but I often found most of their training material more “interesting/entertaining” than “helpful/actionable” with regards to growing my businesses. These guys are primarily responsible for showing me how to grow my e-commerce sites into the 7-figure arena. And I would not classify myself as operating anywhere near their intelligence or experience level. I’m just a hack trying to grow a few businesses in about 40 hours a week so I can get home to my wonderful family. Thanks guys for working so hard and being so generous with your knowledge! Looking forward to seeing your offer. Brock, thank you. On behalf of the others mentioned, we appreciate it. It really does make a difference in what we do. What I found so helpful with StomperNet (mind you I was never a member, just learned a lot from the free content) is how Brad and Andy publicly showed you their sites. They taught and showed people the results of the own SEO efforts for competitive keywords. There’s tons of people in discussion boards who will teach you how to get ranked on page one of Google for terms like “rat toothbrush” or “doorknob cleaner” or something like that. But showing us how to get ranked high for very competitive keywords is what we need. And then we need to learn conversion. For example, I read a case study of how LaptopComputers.org got to #1 on Google for “laptop computers”. Now this terms gets 2.5 millions searches per month according to the Google Keyword Tool. The case study showed how this skimpy little built links and eventually beat Walmart, Best Buy, Sony, etc. for this keyword. On the flip side, his conversion and monetization isn’t all that great. If you could teach us how to rank and convert our sites through case studies of live sites, I’d devour the info. Thanks for personally replying to all of our comments. It really helps. Viewing is good, but doing is better. Yes, we will show some real examples, but this is “hands-on” training, so we expect you to show up with your own site and be ready to make changes in your own business. Between us, Dan and I have going on two decades of teaching web business building and our experience tells us that the student that commits their own site to the learning process is the one that learns the best. When teaching programs become reliant on showing case studies, it unavoidably promotes a passive mindset in the student. Teaching how to build a successful web business is like teaching pottery — the only way to learn to be a potter is to get messy. I’m cool with that. I have a site that I not only need to get ranked, but I need to turn it into real business. I’ve created a few test sites over the past 6 months to teach myself basic SEO and have gotten ranked on the first page of Google for these terms. I learned valuable lessons along the way and have experienced many Google dances and have seen my sites rank, fall, and then rank again. Armed with a general understanding of SEO, I’m looking to invest my time and money in a program that will help me get my actual money making project off the ground. Can you give us an idea of a release date? Is it days, weeks, months? Great. You’re doing exactly the right thing! And as to our release … it is “days” … a very small number. Look for an email tonight! I love your great style of teaching, and your information is always great! I’m looking forward to SEO Braintrust. It is true that technical problems can impact SEO badly, but the majority of site technology problems are frankly more annoying than damaging. Leslie has been a software engineer since 1974 and Dan can hold his own just short of writing lots of code, so we do cover in considerable depth the technical traps, and what you’ll find is that you do not need to learn all that stuff to do SEO on even the messiest of sites. I missed out on Dan’s Link Liberation course. The LL course looked awsome. Will SEO Braintrust cover some of this material? Probably not as in depth, LL is 3 full months of link building that beats students half to death 😉 but we will definitely cover some of the key link building strategies and workflows in the BrainTrust. Ok, here is a very simply question for your SuperDuper Geniuses. I am new at SEO, just getting my feet wet. I have NOT done any SEO work on my site at all, and for the main keywords, my site does not rank even within the top 500 sites. So considering there has been NO SEO work done, what would be your advise as to the top actions I should take right now (not including figuring out the keywords to rank for … I have jsut finished researching this). Start with Dan’s free ebook, seofaststart (http://seofaststart.com). Next, if you have a copy of Stomping the Search Engines 2 (StSE2) that we did for StomperNet a year ago you could follow that, or get into the update/remake we are doing of that course over the next several weeks. I’m in a niche business in the travel industry that has thousands of potential keyword phrases and not unlike the national web sites, each keyword phrase changes based on city or state i.e. “Keyword Florida” or “Keyword Hawaii” or Keyword Nevada” or “Keyword Orlando” or Keyword Maui” or Keyword Las Vegas” and on and on. The actual content doesn’t change very much from region to region. What is the fastest way to create hundreds and hundreds of web pages and link these web pages together? Is there an automated process or is it better to outsource or do you have a system that you can recommend? There is not really a single simple answer to this sort of question, but there is a framework to use in making the choices that I suppose we really should consider adding to the program. Clearly automation is required, but is automation enough or does the process require a significant human element as well? The way I approach this is to “turn the tables” and look it at from the search engine’s view point. Can they police this problem with automated systems only? No. Can they do it with humans only? Also, no. So which parts are subject to automation and which parts are not? The structure of your site and your keyword targets has to be automated and the result will look the same in any case so the real question is the content. Here, I think the right answer for today is automated management of human authored content combined with some ‘standard’ content from public and licensed sources. The goal is to create an eclectic collection that mixes two or more sources with sufficient new content that it is viewed by humans as unique. Sorry if this has been covered somewhere else already. Will SEO Braintrust include PPC as well, or specifically SEO, link building etc ONLY? Yes, PPC is a big part of the plan – there will be a longer list of topics when we open later today. My first release of my new PPC course will be part of the program – similar to what I did with link building (Link Liberation) it will be a complete update of my earlier course, with entirely new material. Been following you for a while and absolutely love your work! Seriously considering joining tomorrow, but here is my question. I work for an SEO firm and do not necessarily have a site of my own, but work on hundreds of clients sites. Will this program still be of benefit to me? I know there is a lot to learn, but will it still be worth it for me, as a non-site woner, to join? Jon, a lot of the folks I’ll be bringing into the program are consultants. The more you can do for the client beyond SEO (analytics, conversion, and other marketing) the more useful the program will become over time. The first 3-4 months will be heavily focused on SEO, Link Building, and PPC but we’re also getting into a bunch of other stuff because it’s hard to be effective without understanding how SEO fits into the bigger picture. When we started planning this thing, it just seemed easier to go with what we’re best known for, but yes, we’ll cover more ground than just SEO. Will this program include any private coaching? Video lessons, webinars and message boards are all great, but what I really need is private coaching once in a while to make sure I am implementing the strategies correctly. Once a month for 45 minutes would be plenty — that way I can come armed with the best questions and allow a few extra minutes for a private site review. I am sure there are plenty of folks like me with privacy concerns when it comes to discussing specific sites, PPC campaigns, etc in an open (well, somewhat open/members only) forum. Kristin, we aren’t offering private coaching at this time. There will be a Q&A podcast each week, and a way to submit questions so that we can deliver a “generic” answer without revealing all of your business details. Really looking forward to what you have coming. I am really interested more in learning how to properly silo a website using rel=”nofollow”. Particularly, siloing Joomla websites and doing it in a precise way that takes out theme bleeding possibilities. I learnt about siloing many years ago, and did more training with Bruce Clay, but would like to make sure my understanding is in fact correct. Also, I am interested in your linking methods (I don’t know what I don’t know). I missed out on the Linking course with Dan, but hope this will either be repeated or possibility covered in what you guys are doing now. Looking forward to the launch guys. Link Liberation will be repeated, and available separately. We’ll get into link building techniques in the BrainTrust program as well, but Link Liberation is a 3-month intensive program that all 200 students who completed the first one are grateful they don’t have to keep up with every week, so we have to do a little bit less material in the SBT program. What Bruce teaches as Siloing is one solution to a couple of underlying site design problems and his technique is both well composed and effective for the majority of cases and easy for his students to get right. What I teach is an approach that has the multiple goals of Silos taken apart and treated independently. You will often find that the result you achieve is the same, but just as often you will be able to put a finer point on the analysis and the special cases can be easily recognized as such. Every technique practical enough for real-world application has to be an approximation and what Bruce has done is worthy owing to its ease of use and breadth of applicability. What I do is frankly not as easy, but is also typically more optimal as a result. Also, with you be covering any PPC stuff, like the work you did on the last Going Natural serious, with the 5 split testing? always respected your work in seo and teaching style. More imptly, will This be of an exclusive mastermind group where we get to really drill down into actionable stuff on a personal lvl? The Q&A calls will be group events – one person speaking with us at a time, with everyone else in “listen only” mode. The system allows you to “raise your hand” and we can speak with everyone in turn. We went live at 12pm Eastern yesterday – and didn’t do any kind of crazy “fast mover” bonuses or anything like that. I don’t think anyone should have to get up in the middle of the night to join up. The whole “round planet” thing is always an issue – there is no one perfect time for conference calls and webinars for example. Best we can do is rotate different times. Just signed up and really looking forward to this! Especiaally your training on PPC… as I started in March doing PPC Affiliate Marketing and just starting to become profitable. Although I do plan on eventually creating my own product, I want to stay as an affiliate for at least a year to hone all the basics first… by first transitioning to SEO, then email and social media. I guess my question is, will I still be able to leverage all the techniques you teach here? Specifics will vary, but SEO is one of the best tools in an affiliate marketer’s bag of tricks as is PPC as you are discovering. Email marketing is possibly a bit more of a special case, but it is a pretty doable step from affiliate to drop shipper and then you are for sure in the email game. 1) Regarding site structure, if a site’s URL structure is domain.com/home/another-word/pagename.html for every page (/home/another-word/ is fixed and the same on every page), is there any disadvantage in having it set up like this? I am wondering whether I should invest the effort to change the URLs to domain.com/pagename.html. The reason I’m asking is that currently it looks like “home” and “another-word” are directories that actually don’t exist and could be misleading the search engines to think these had importance. Also, they don’t contain any relevant keywords. I am also wondering whether or not a website’s size (number of pages) would have an impact on that decision. 2) If I was to build a directory-type website for businesses that are all in the same niche but at least most of them in different cities, would you go for a subdomain for each business profile (more chances of individual link building, but also more work for basic link building and gaining authority), or for pages all on the same domain (less chances for individual link building but greater value of the site’s overall authority)? Quite specific, I know, but these questions have been bugging me for a long time. I just joined SEO Brain Trust by the way, I’ve been waiting for this opportunity for ages!! Detailed indeed and better left for the point in time we cover these topics but in brief, there are very few absolutely right and wrong answers to your second question but as to your first you are far better off leaving it than changing it as the engines do not have need nor algorithms to analyze URLs in that way. Wish you all the best on your latest project. The opportunity to learn some beyond basics techniques for linking would be great. I would like to work on some examples of how to build a good mix of linking strategies; I know the usual methods like Web Directories, backlink analysis, Articles and Press Releases, but want to know more about how to bring in some more up to date techniques. How to use RSS feeds, bookmarking and Web 2.0 techniques would expand my list of strategies, and any other good techniques. Also, have you guys had any experience at promoting niche Directory websites covering many subjects? What would you recommend as a strategy for promoting that? It seems that a lot of niche directories you see handle links out using a non-direct URL linking out to the clients site so the directory can keep stats of clicks for their customers. However that surely doesn’t pass PR. What are your thoughts on Directories that do this? Should a Directory always aim to pass PR for their clients? Does that bleed too much PR? All of the link building questions are ones that Dan already has plans to cover I am sure and I have used some of these as well. In terms of the site structure, linking styles, etc, that we will cover from both a site structure and linking perspective. Why should a StomperNet member join? What can we expect to get out of seoBT that was not already covered in SN and will warrant the additional expense? Well, frankly, you won’t get us in SN unless something pretty fundamental changes. Dan and I have posted about this on our blogs. In terms of our existing content still in SN, it will remain there, but there is so much we did not do either because of time we were doing other stuff or because it would not fit in the product that our plans for the BrainTrust involve easily more than half, maybe even 75% new material. Dan’s PPC module for example will be entirely new. Similarly, I have not done any SEO content in SN in more than a year. How important are tools to SEO? Is a tool that blasts articles to a bunch of sites really that important anymore? I would assume that the search engines will start identifying and discounting links like this. I’m hoping we can learn some really good, linking techniques from your site. By the way, I just signed up for the trial to your membership. Full charter membership is out of my price range just yet. Looking forward to seeing some videos so I can at least upgrade to the $77 charter video membership. I am in. Gonna take 30 days to evaluate if SN or SBT is a better fit for me. 2). Events: I’ve read great things about their events so I can’t say much. It would be nice to go, but I’m not sure they will make or break my business. 3). MasterMind Groups: This is a really cool aspect of the new SN. BUT, I live in Chicago and there is a new SN MeetUp group here (and lots of other cities), so if I can build relationships with people in my MeetUp group and create my own mastermind. Dan and Leslie keep saying SEO Brain Trust is focused and hands on, although the new SN mastermind groups seem like they’ll be pretty hands on also, so it’s a tough call. 4). Training: Not sure what the new SN training will be like, but I understand that Dan and Leslie were the backbone of training in the old SN. I could rely on old content they’ve done in SN, or learn the most cutting edge stuff directly from them via SEO BrainTrust. I read something about an updated version of Stomping the Search Engines, but I’m not sure how much Dan/Leslie will participate. Besides, they’ll probably teach the same stuff to their members. I just subscribed to the Net Effect from StomperNet and may keep that membership ($40/month) just to see what they’re talking about. 5). Culture: A business that revolves around personalities is just a social club that happens to make money. So the departure of Jerry West, Andy Jenkins, Dan Thies, and Leslie Rohde don’t bother me that much. If the culture is in tact, new people will eventually make their own mark. What bothers me are the comments Leslie made about the new SN on his personal blog. It looks like the new SN is a software wholesaler, not the training organization it used to be. It seems like the change in culture is causing some faculty to leave, not the other way around. At the end of the day, the new SN isn’t going anywhere. They’ll probably keep the doors open for quite a while (75% price reduction means they need 4 times as many members) and reviews will be popping up on discussion boards in the next few months. For now, I’m going with the Video Only ($77/month) option of SEO BrainTrust. If it’s as good as I hope, I’ll upgrade once I make some money or see results from their training. To cut through all the mountains of fluff, may I just say that there is ONE very sure way for any business to thrive online and that is to have at least a dozen reasonable traffic keyphrases in Number ONE position on the first page of Google for a well designed website. I have been in business for over 21 years now and I own several high value domains offering various different services and I have spent an absolute fortune over the last year trying to get Number ONE positions for them and I have failed miserably because of a simple error (I targeted my newly registered domains instead of my aged domains). I have been observing the SEO industry at the same time and I already know that you guys are very sharp at what you do. However…… what I am hoping is that in the next couple of weeks, one of your new video presentations might show me how to get a Number 1 position for just one keyphrase, metaphorically speaking show us the wood in the forest and not the leaves please. Why only one keyphrase I hear you ask, well it’s because I can then very easily Rinse & Repeat for all of my other keyphrases. I am hoping to get traffic in 3 months or less ie. before New Years Eve for that one keyphrase, because that single keyphrase is quite profitable during the Online Gift Buying Season so I can have a Very Merry Christmas and a Properous New Year (Ho-Ho-Ho). I’ve read every comment and answer my question is will some copywriting advice be included, as the sites get optimised to the hilt and the traffic flows… You mentioned a few times; teaching people what do with it! What I am interested in is increasing the visitor time on my site to improve the click thru rate? so I will have more people to do something with! Just joined on a trial… Seeing if I and my site are ready for this aspect of website management and if this course is a good solution to my present needs! The simple answer is yes, but I better explain that. The term “copywriting” is just generally applied to all writing intended to create sales and that is fine, but in the context of the web it really means several things that tend to be pretty different … even though they do share some common elements. The “long form sales letter” you see in Internet Marketing, including ours, though it isn’t really all that long by I.M. standards, is the skill most often associated with the term and while we could teach that, it just does not make sense for us to do so. If you really want to do that, we can hook you up with the right folks. But the copy you will need to get right consists of title tags, meta-descriptions, PPC ads, product descriptions and even just the body copy of your pages. That is all “copy intended to sell” and the way you have to write it to get the value out of your traffic is a central part of how you optimize your online business. Thank You Leslie. I’m not entirely convinced that this is the right programme for me just yet? Am I ready for this course and is my 10 page site… that is the question… Learning as against doing… it, maybe wrong but taking action and then making it better later? Sean, getting your offer & business model figured out is an important starting point, of course. We do have a $1 trial (2 weeks) that’d make it easy to check out what we’re doing. I’m in the process of setting up an affiliate program. In setting up the program, what do I need to do to make sure that I’m not competing with my future affiliates in terms organic search – and limiting the damage of potential seo problems. I’ve heard Dan mention before that myweddingfavors had problems like this and ended up having to fix their affiliate program. I’d like to do it right the first time. Good to see you, Alain. The first problem was that MWF was giving affiliates the same product titles and descriptions that they were giving to their wholesale customers, and also using these on their own site (MWF). The solution for that was to create more than one description. Not easy for everyone to do. We did a bit of a “shortcut” on products they were sourcing from 3rd parties, which was to give affiliates and wholesale clients the manufacturer’s description and write a new version for MWF (they were already writing one anyway). The second problem was with technical, having to do with the way Google handles the 302 redirects that most affiliate programs use. Programs like Commission Junction use short URLs so we were seeing a lot of cases where the MWF page was indexed, but the Commission Junction URL was appearing in the search results. So… in the data feed to affiliates, we changed to using a URL for each product that did a 301 redirect to the final destination. That resolved this issue nicely and it was a quick ride back to the top of the SERPs after that. This gets highly technical but it can be explained if you have more than a blog comment to do it with, and it’s a good example of the more advanced end of the SEO stuff we’ll be teaching. Hi Dan, I’m having the same issue, emailed support but no response — can you help? — i dont really want to miss the call.